There is more than one way to shield you skin from the sun’s harmful rays. 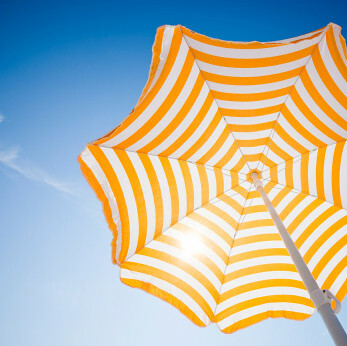 Dr. Joel Schlessinger recommends using a combination of sunscreen, sun protection hats, clothing and other innovative methods to protect yourself from ultraviolet radiation. The cardinal rule of sun protection is to always wear a sunscreen with an SPF rating of at least 15 and to reapply it throughout the day. Protecting yourself from premature aging and skin cancer can be more complicated than just applying a lotion, however. “Sunscreen is a great start, but in order to provide the most protection, other measures should be implemented,” Dr. Joel Schlessinger said. One such measure is sun protection hats. Tilley Hats are a best-seller at LovelySkin.com – their wide brims offer shade from the sun and an added layer of defense for your scalp. Tilley sun protection hats also come in a wide range of styles, sizes, colors and materials, so you can easily find an option that suits your lifestyle. Sun protection clothing is another option. While long sleeved shirts and lightweight pants are a few dermatologist-recommended styles, many companies are coming out with specifically designed sun protection clothing. For fair and sun-sensitive skin types, clothing with a Ultraviolet Protection Factor (UPF) value enhances their protection against sun damage and related health risks. Sun protection clothing carries a UPF rating between 15 (good) to 50+ (excellent). Other innovative treatments are also hitting the market. One such treatment is Heliocare, a sunscreen pill that offers supplemental protection against excessive sun exposure. Dr. Joel Schlessinger recommends that it be used along with sunscreen two or three times a day. He also suggests this sunscreen pill for patients with a sun allergy or vitiligo. To purchase your daily SPF lotion, sun protection hats, the Heliocare sunscreen pill and more, visit the sun protection product section at LovelySkin.com. Joel Schlessinger MD and LovelySkin.com featured on Extra! Dr. Joel Schlessinger and LovelySkin.com were recently featured on Extra!, a television program that covers celebrity and entertainment news. Host Mario Lopez gave away $100 gift certificates to 40 members of the audience. You can take part in this great offer too – Extra! is giving away 5 additional $100 gift cards. Enter here for your chance to win! LovelySkin.com is a premier beauty website that functions under the direction of Dr. Joel Schlessinger. This e-commerce site sells dermatologist-recommended advanced skin care products. You’ll find skin care, fragrances, hair care and cosmetics that are generally only available through your dermatologist or skin care profession. Shop LovelySkin.com and find some of Dr. Joel Schlessinger’s favorite products. Which one is the melanoma on this 33 year old? The answer is B, but A was also threatening to change, so those of you who chose A aren’t really wrong. The thing that most people don’t realize about moles (nevi) is that they aren’t ‘good’ or ‘bad’ but always changing. What this means is that ‘A’ may change at some point to be a melanoma. It may even get better to some degree if the patient stays out of the sun for a long time. We find that moles have a natural pattern of growth and eventually many may even get better and go away as people age. There are others, called seborrheic keratoses, that get worse over time, but these aren’t of concern (although they look quite dangerous to many people). This melanoma is one that was less than one millimeter in thickness, which is good. That means that this will likely have a good chance of complete cure and no further work (other than the reexcision we did) will be necessary. Please feel free to send this link to your loved ones as we have heard from several of my readers who sent it on and a loved one realized they had a melanoma because of it! My patients are thrilled that they can help others as well to avoid this potentially life-threatening condition. Which one is the melanoma, A or B? 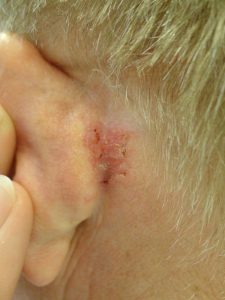 Derm Quiz Answer: What’s behind this man’s ear? Skin cancers, such as this basal cell carcinoma, can be tough to diagnose, even for physicians. This man had the spot here for years and had even shown it to his family doctor, who prescribed a cream for it. He thought it was from his glasses rubbing, but that is a common mistake among people. Most of my skin cancer patients come in with something else and we find their cancers incidentally, just like I did with this patient. So, it pays to be observant, but it pays even more to go to a dermatologist at least once a year if you have had skin cancer in the past or if you have a mole or growth that is changing, bleeding, growing or unusual. The basal cell carcinoma that this patient had is easily treatable. He had a method of surgery called Moh’s Surgery on it and has about a 96% to 98% chance of cure. The best part is that he can now wear the glasses easily that initially were thought to be causing this! Acne comes in all shapes, sizes and forms. A common misconception is that all acnes are the same and they can be treated in one easy cure. Unfortunately, this isn’t the case in many people who have acne. Dr. Joel Schlessinger sheds light on one particularly troublesome cause of acne prone skin – yeast. “There are different forms of acne which is why there are so many treatments used to fight it,” said Dr. Joel Schlessinger. Pityrosporum, or yeast-based, acne takes the shape of small, itchy red bumps along your back, chest and hairline. These blemishes are caused by yeast. As these blemishes heal, they can leave a brown discoloration along with a red scar. 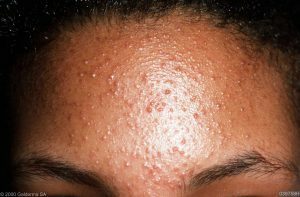 Those who have pityrosporum acne prone skin are usually those who are often sweaty or who have a family history of atopic diathesis, a genetic collection of conditions such as asthma, eczema, dry skin, keratosis pilaris or hay fever. Although many people think a good cleansing regimen will help clear up acne, this is not the case with this stubborn form of acne. Treatment requires both the control of yeast as well as cleansing the pores. “It is easily treated with a pill, so it is best to see your dermatologist for evaluation,” said Dr. Joel Schlessinger. Medicine will help control the production of yeast while a good skin care regimen will help unclog pores and treat current blemishes. Dr. Joel Schlessinger recommends supplementing your medication with an acne-fighting set of products, such as the LovelySkin Acne Care Starter Set for Oily Skin. What’s going on with these nails and fingers? Why are these nails damaged? They are are result of a yeast infection. Yeast can complicate any nail issue, but is particularly bad in workers who have hands in water, as this person does (restaurant). This sort of issue also plagues hairdressers and many nurses. We will treated her with oral ketoconazole and she should recover completely…as long as she doesn’t wear false nails and protects her cuticles in the healing process. What can you do to avoid yeast infections? Try not to wash your hands if you don’t need to and avoid putting them in water for long periods of time. If you have a job that requires you to be in water, put gloves on and try to avoid very hot water. 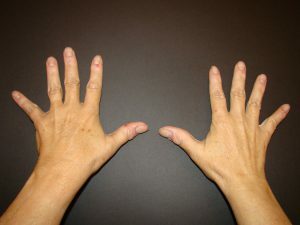 We have products at our website that seal in moisture (www.LovelySkin.com/theraseal) as well as products to repair finger cracks (www.FixMySkin.com), but they won’t heal a yeast infection as that requires medications by mouth or applied to the skin. I am often asked what I think about false nails and my answer is that they are no good for this sort of problem. They can hurt the nail significantly and allergic reactions to the acrylic can occur as well. Additionally, the act of putting the nail over your normal nail can seal in fungus and yeast and allow for more damage. Lastly, the instruments at the nail salon can be contaminated from your own nails or others. Lastly, there are other infections that can complicate this, including staph or other bacteria. If your nails aren’t responding to home or over the counter remedies, it is time for you to go to your dermatologist! Dr. Joel Schlessinger and LovelySkin host successful Ultherapy Uplifting event. Dr. Joel Schlessinger and the LovelySkin retail store recently hosted an Ultherapy event. This informational session offered insight and knowledge on this groundbreaking cosmetic procedure, as well as skin care tips, special discounts, prizes, hors d’oeuvres and refreshments. 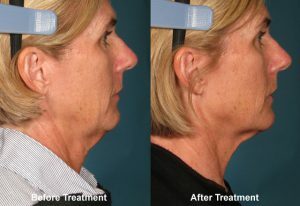 Ultherapy is a new non-invasive way to lift and tone sagging, mature skin. With just one treatment and no downtime, your skin will gradually reflect a more uplifted, refreshed appearance. Learn more about this revolutionary non-surgical procedure here. Event attendees also received an Ultherapy consultation as well as a $50 store or cosmetic credit for use at LovelySkin. Dr. Joel Schlessinger also selected one lucky event attendee to receive a free upper face Ultherapy treatment, valued at $1750. Dr. Joel Schlessinger would like to give kudos to the amazing staff that helped put on this wonderful affair. Without their organization, hard work and dedication, the Ultherapy event wouldn’t have been such a wild success. Learn how you can join our next event here. When should you take your child to the dermatologist? Dr. Schlessinger says the earlier, the better. Summer is winding down and school is right around the corner. While many students are worried about what to wear for their first day, others are worried about their acne prone skin. Acne can leave adolescents feelings embarrassed, insecure and socially isolated. While no parent wants his or her children to feel this way, many grapple with the same basic question – when should I take my child to see a dermatologist? Acne is characterized by pimples, lumps and clogged pores that develop on the face, neck, chest, back and shoulders. Nearly 85 percent of all people develop acne prone skin at some point in his or her life, often occurring during the teenage years. If left untreated, acne can become painful, causing unsightly lesions and scars. However, once scarring has occurred, it could be too late to make a significant improvement in skin tone and texture. Dr. Joel Schlessinger recommends taking your child to a dermatologist as soon as you notice mild to moderate acne. “While many parents assume acne treatments or a dermatologist visit is expensive, it is usually not the case. We have treatments that are very cost conscious and most of the time, they are actually less expensive than many of the infomercial alternatives,” Dr. Joel Schlessinger said. 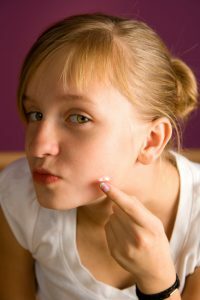 “Due to severe emotional issues associated with teenage acne, it is always best to have treatments when it is early enough to save children from embarrassing or socially isolating situations,” said Dr. Joel Schlessinger. While you’re out shopping for notebooks and pens, be sure to add a call or visit to your local dermatologist to your back to school to-do list. Which one is the melanoma? The answer is that both are a melanoma. The one on the left is what is called an ‘amelanotic’ melanoma, which means it doesn’t have any pigment in it. That is one reason it is so dangerous and, in general, melanoma is so dangerous. We see that form of melanoma rarely, but I diagnose one of them every year now, it seems. Generally, my patients say that they came up quickly and they can easily be confused with a mole or other form of skin cancer. The one on the right is more of the ‘typical’ form of melanoma. The thing most people would be surprised about is that the person who had it wasn’t concerned about it. She came in for something else and when we saw it, we knew it had to come off. She isn’t alone as most people feel that if a mole has been present since birth, it is fine. What they don’t know is that moles that are from birth have a very special risk to them. Melanoma risk is based on how ‘deep’ they are and both of these are in a higher risk category. As a dermatologist, I see melanomas about once a month, but these two came within a week of each other. That is another reason that I am concerned about indoor tanning (and outdoor! ), as these are one of the main reasons for the increase in skin cancers and melanomas. The take home message from this is to pass this around to your friends and let them know that a mole that is changing can be dangerous and even deadly. Look over yourself and your loved ones and if you have any concerns, go to your dermatologist for evaluation. It may save your life or that of a loved one.